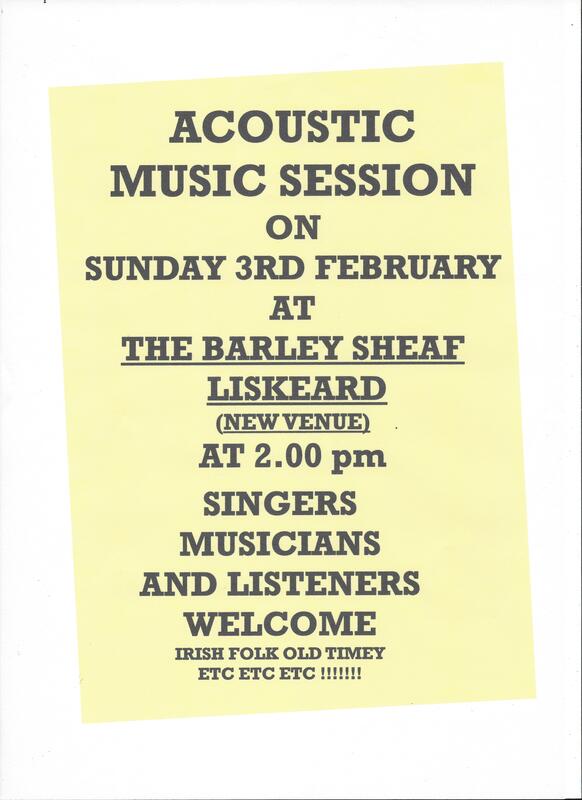 Folk, Irish, Bluegrass, Old Timey, Skiffle etc. Singers, musicians and listeners welcome. 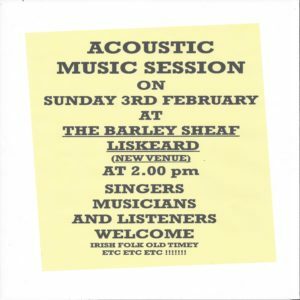 Held at the Barley Sheaf in Liskeard on the first Sunday of every month.